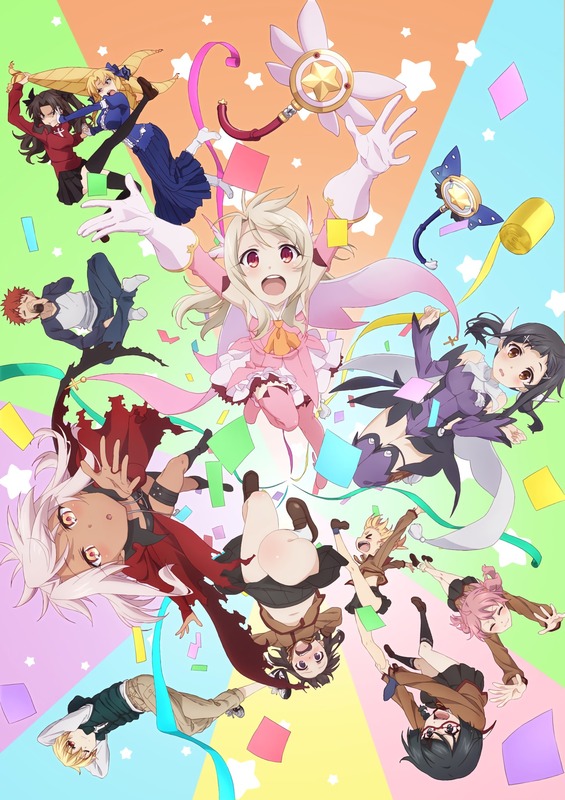 First up, some news on Fate/kaleid liner Prisma☆Illya. During an event this past December, it was announced that a new OVA in the series has been greenlit. If the promo image is anything to go by, it seems like this will be more like the fun and gay seasons than the Shirou-led prequel movie (thank goodness). 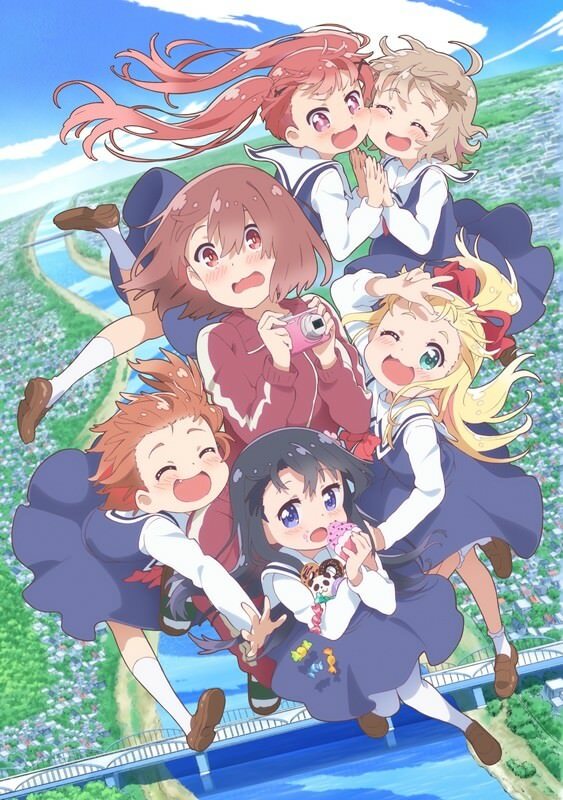 Moving on to another uber popular series, Yuru Yuri is on the way back for a tenth anniversary OVA, and up above is the first PV. It doesn’t really show/tell anything too exciting, but just hearing the music again makes me realize how much I’ve missed this show. As was previously announced, the OVA is being crowdfunded and will run from Christmas Day until February 15th. Due to the massive success of the series, there was little doubt that it would reach its goals, but it’s not only met the goals, it’s blown them out of the water. Next up, we have our first look at the trailer for KyoAni’s Hibike! 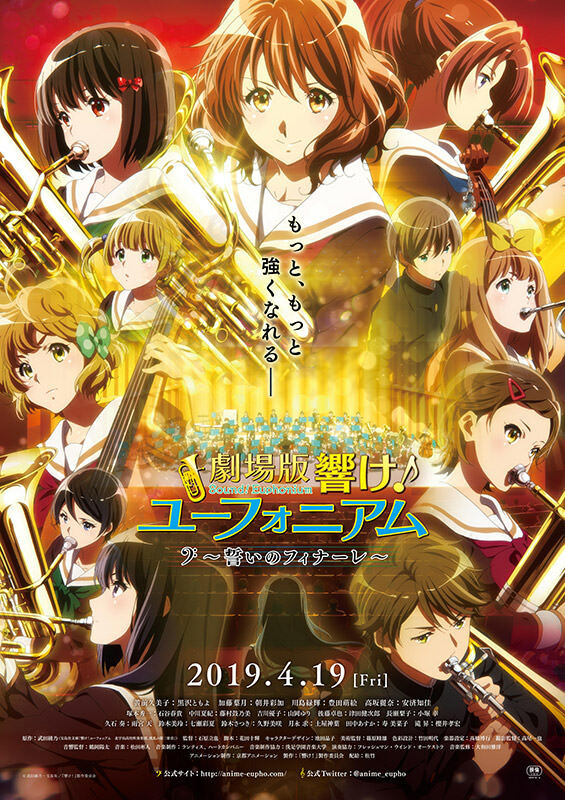 Euphonium Movie 3: Chikai no Finale, which will be hitting Japanese theaters in April. Looking ahead to the spring anime season, we now have the first visual for World Witches Series: 501-butai Hasshin Shimasu!. 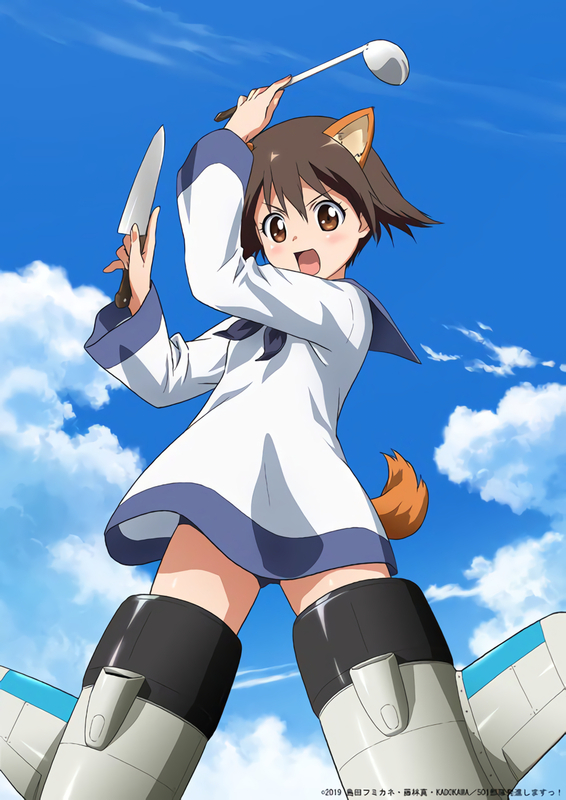 I don’t know about you, but I’m looking forward to seeing the Strike Witches series in a slightly different light, so April can’t come soon enough. Another PV and a second commercial were released, and you can find those two videos below. But now that the film is out, there are even more videos to post. For those of us who can’t make the pilgrimage to Japan in order to watch this in theaters, the official Love Live! YouTube channel has uploaded the first seven minutes of the movie. There are no subtitles, but it’s still cool to see a little bit of this in action. After a lot of confusion, it’s finally been confirmed that we will in fact be getting a second season of KanColle. The confusion came when fans didn’t know what the announcement of a continuation meant exactly, and the arrival of an anime film added to the confusion. Was that the continuation, or was there another season on the way? It seemed that most people believed that even despite the movie, we’d get another season, but when years passed and we didn’t get one, a lot of people gave up hope, yet it’s finally become a reality. By the looks of the leaked PV, it seems that Shigure will be the main character, and although it’s hard to tell by the cam footage, I didn’t see Akagi, Kaga, Kongou, or some of the other ship girls, so it remains to be seen if many fan favorites from the first season will return. 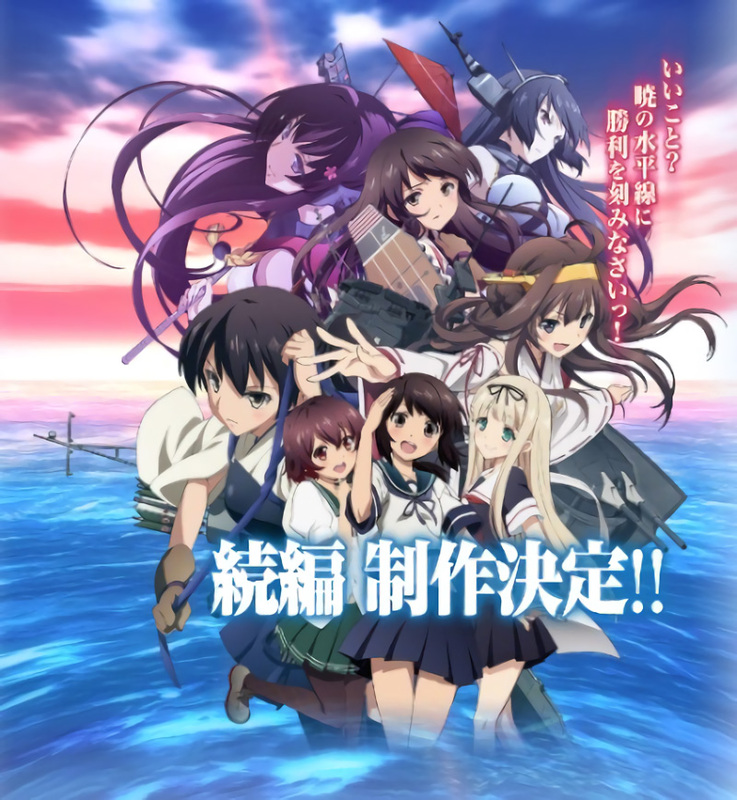 Anyway, Studio Engi—a new 2D/3D animation studio that was established last year—will head the production, so if you’ve been dying for more ship girls, chances are you probably won’t have to wait another four years for it. Perhaps the highlight of the winter anime season for yuri fans is Wataten!, but the fun won’t stop when the season ends in March. It was announced that the third volume of the Blu-ray/DVD will include a bonus OVA, effectively making this a thirteen-episode season, since it was also announced that the season will predictably consist of a dozen episodes. 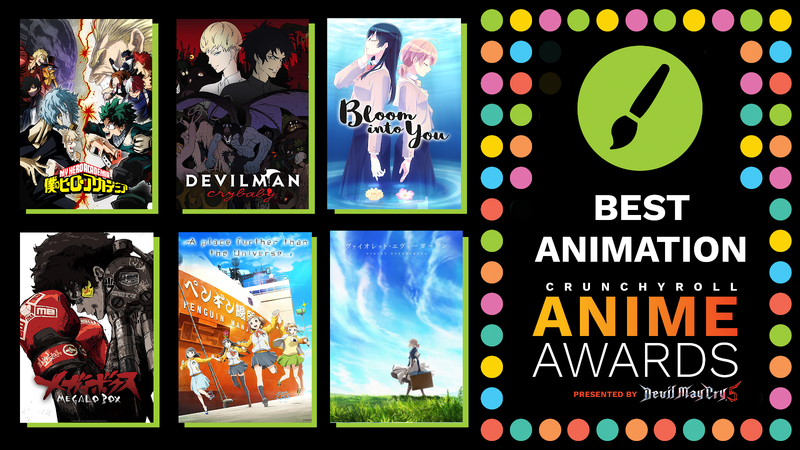 It’s obviously not as exciting or prestigious as one of our many awards or tournaments (:P), but it’s the time of the year when Crunchyroll unveils the nominees for their very own awards, and there are a few familiar series that yuri fans might want to vote for. Among those series are Bloom Into You, which is up for Best Animation. Our score of 8.5 for A Place Further Than The Universe seems justified, after the show pulled in three nominations including Anime of the Year. 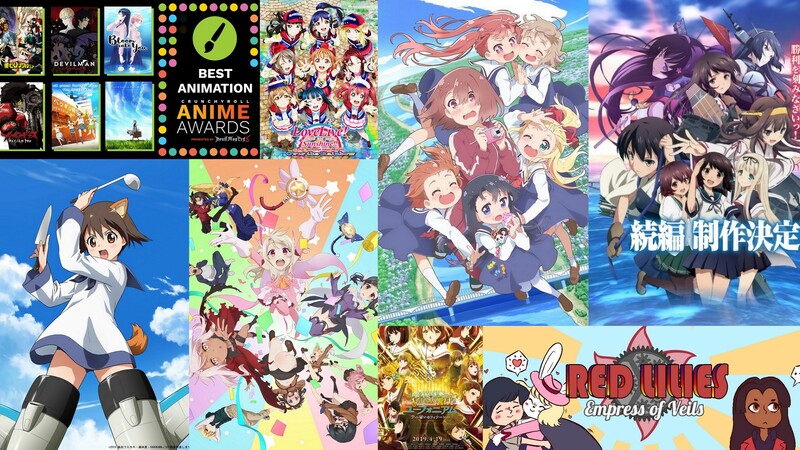 YR readers’ choice for Best Yuri-ish Anime, Shoujo☆Kageki Revue Starlight, is nominated for Best Ending Sequence, and Liz and the Blue Bird is nominated for Best Film. All in all, it’s interesting to see many of our choices nominated for the various awards, so why not get out there and throw your support behind what you think should win? It was Scarlett’s mother who forged the empire from the ashes of a dead god. With her consort Nicoli and The Dragoon Escard they held those who would take their homeland at bay. This fledgling empire was gifted with two princesses and the promise of a strong future, Threatened only by a sudden and severe fever in the elder. Nicoli cared for her unflinchingly, Til the ever sickly man was struck with it himself. As his firstborn slowly recovered Nicoli lay on his deathbed. The Empress, in mourning lost herself to grief and rage sating all of it on the flesh of the child. Escard did what she could to ward her against her mother’s rekindled temper, but after a particularly savage incident the solemn guardian cut the empress down. The eldest would eventually leave and chart her own destiny though the pain would linger. The younger who had been spared the worst of it would take up the throne in the end. Scarlett Tyl Sul’shal, Empress of Veils. You can find the rest of comic right here. This entry was posted in News and tagged Empress of Veils, Fate/kaleid liner Prisma☆Illya, Kantai Collection, Watashi ni Tenshi ga Maiorita!, Yuru Yuri by Lena K.. Bookmark the permalink. For one who hasn’t seen anything of KanColle, what is the yuri factor? definitely a good start to the year, wataten is just so hilarious and cute! also yes more kancolle and strike witches!!! so excited!!! and the fact that yuru yuri is coming back and more illya puts a smile on my face! 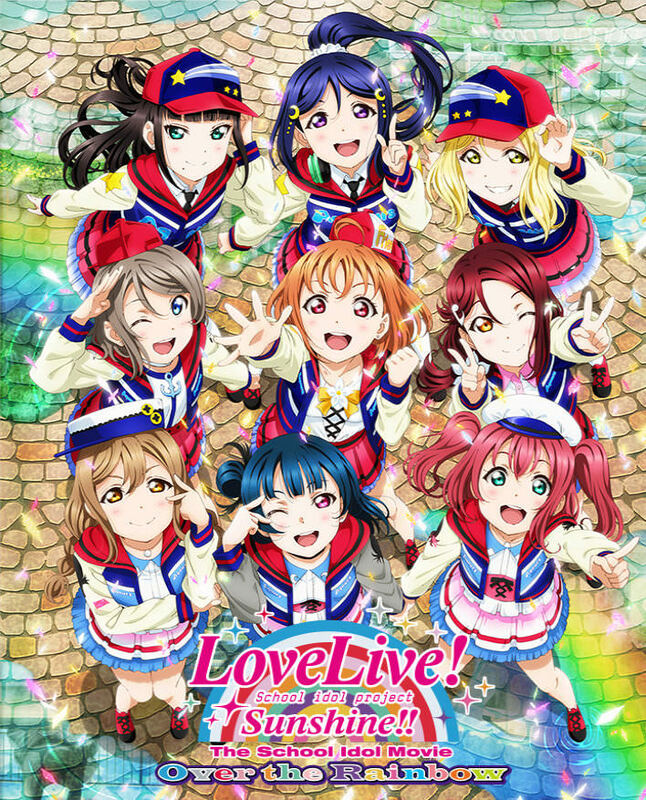 as for the love live sunshine movie, im super excited for that! definitely a slow but good start for us yuri fans, hopefully as the year goes on we will get more awesome announcements! definitely! its going to be another amazing year! i just know it! Yes! Because of this review, have started. Wataten and am very much enjoying it. Somewhat like Uzu Maid which I stopped because felt Maid character was over the top and more creepy than fun; but the sister in Wataten is very much like the sisser in Yuru Yuri, and the girls just play her like a piano. Lots and lots of kawaii and bushels and bushels of bouncing bunny fun! There are new drama CDs, some new extras and apparently even VA commentary! AnimeJapan is doing a poll to see what they (might) animate next. Lots of yuri titles in there (some really great ones too). The site is in Japanese, but someone on DS provided a translated link of the titles to help you vote! Poll closes Feb 11th, so go vote while you can! Really looking forward to this, as the manga still has plenty to offer. Sakura Trick has finished, and Ano Kiss has one chapter left.